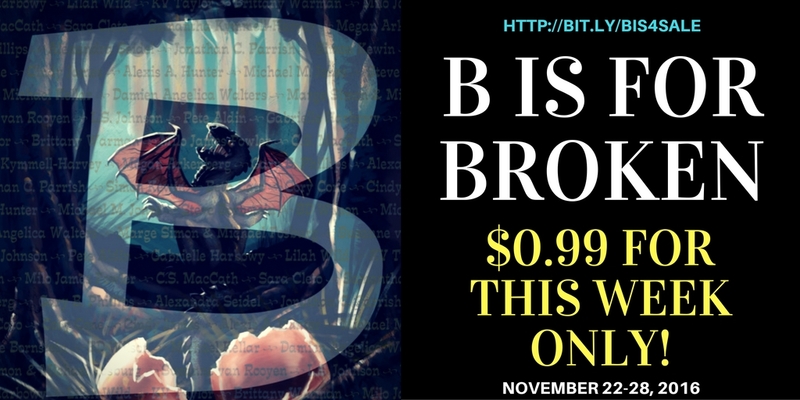 For this week only, B is for Broken is on sale for $0.99! That’s under 4 cents a story! That’s a very tough deal to beat, so why not treat yourself to a little escape from reality this post-election holiday season? C’mon, you deserve it! Get B is for Broken now!